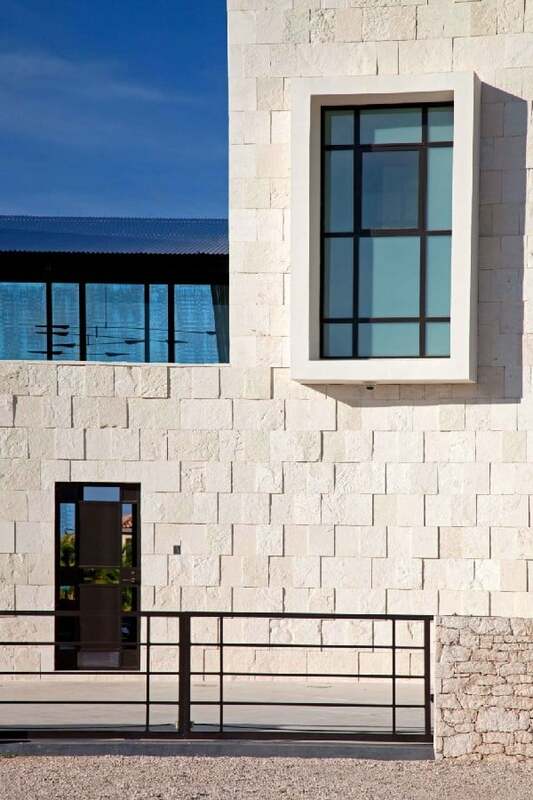 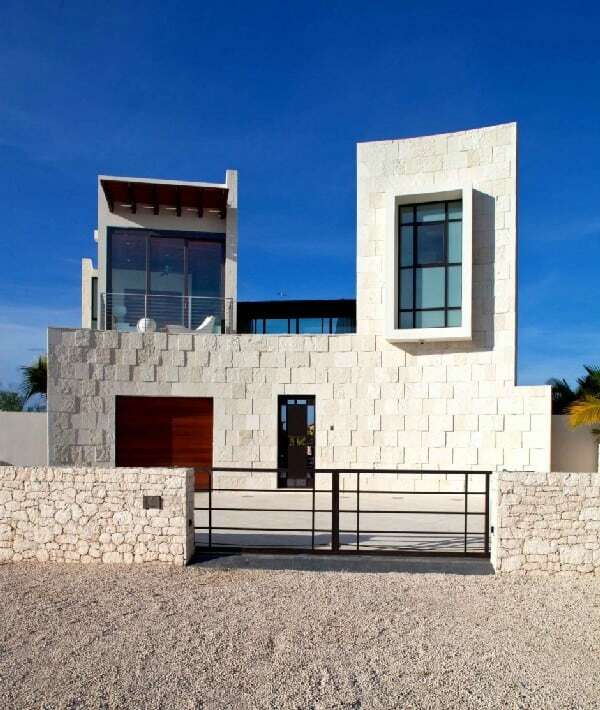 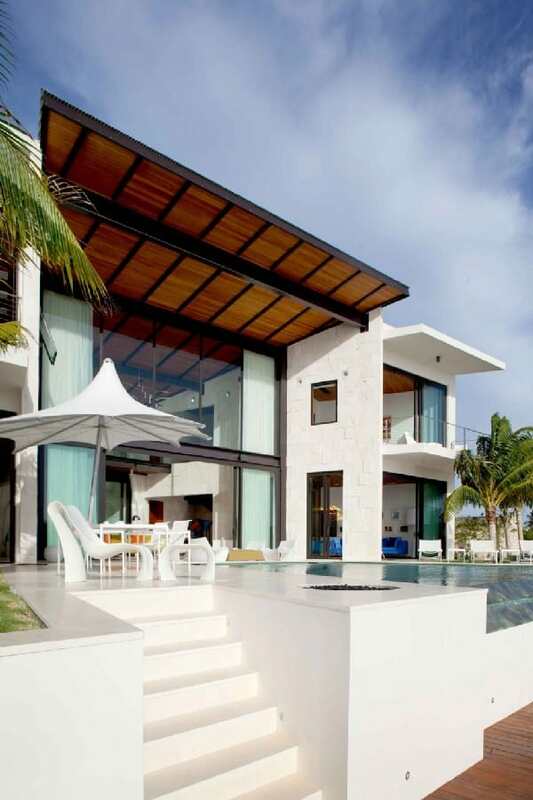 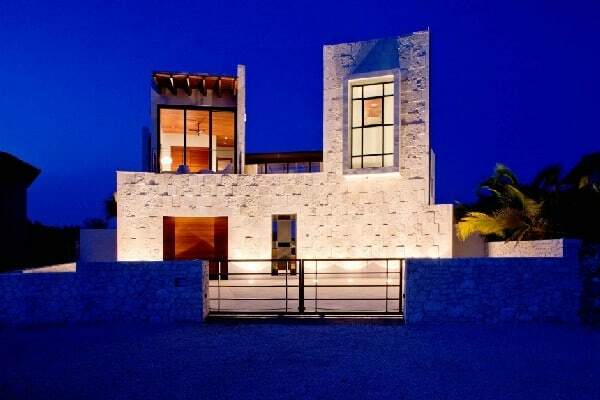 The Bonaire House has been designed by Silberstein Architecture and is located on the Caribbean island of Bonaire, The Netherlands. 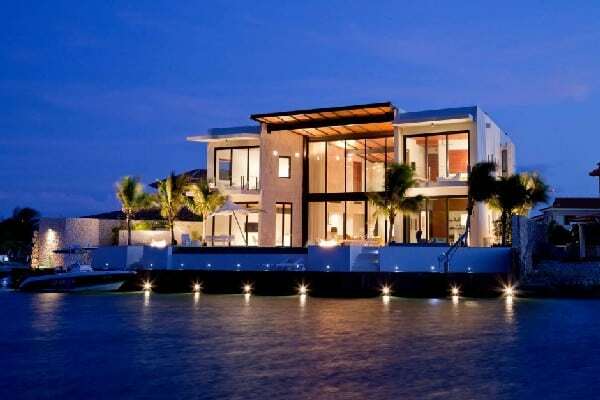 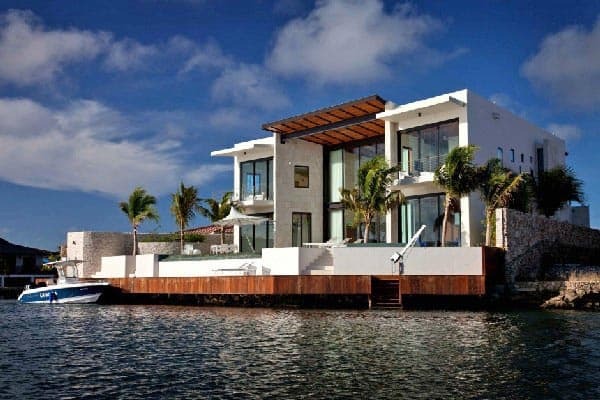 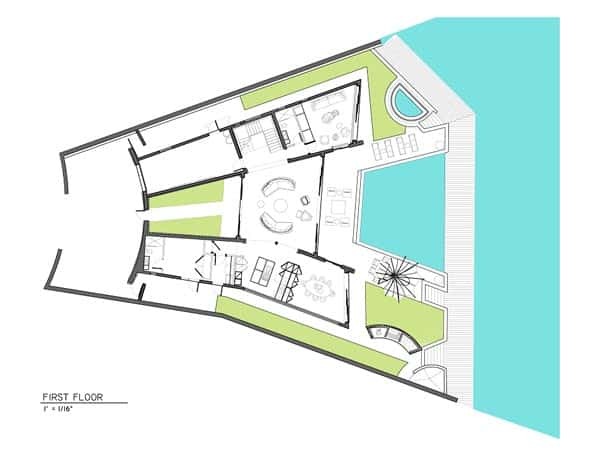 The home has three bedrooms, each, with their own private bathroom, one bedroom with its own private bathroom accessible from the exterior of the house, a study/TV room also with its own full bath to allow for future conversion into bedroom, living room, dining- room, kitchen , one car garage, a pool, spa and dock for boats and jet skis. 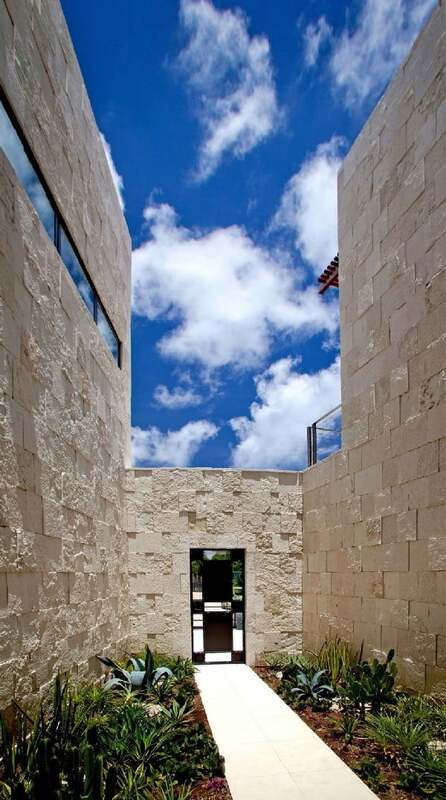 One-third of acre of the site lies at end of a cul-de-sac and is sandwiched between two double story residences. 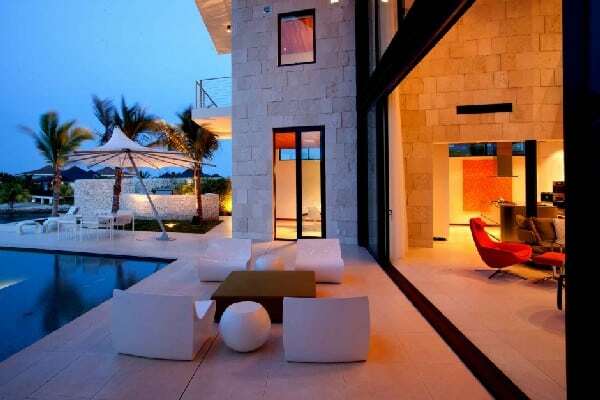 The depth of the property runs northeast to southwest, perfectly aligned with the local trade winds. 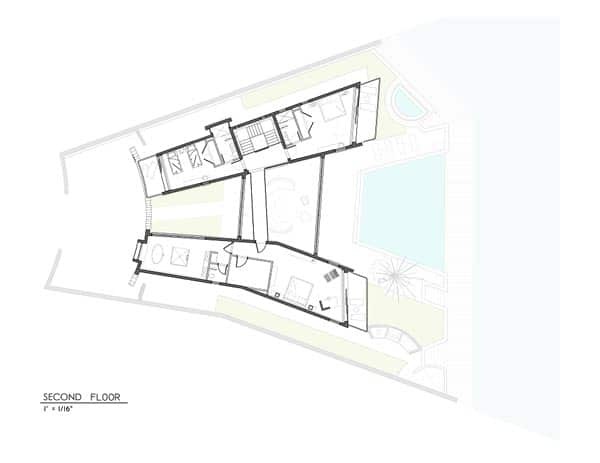 The outline of the house and location of rooms are influenced by: the close proximity of adjacent homes, predominant wind direction, and water views. 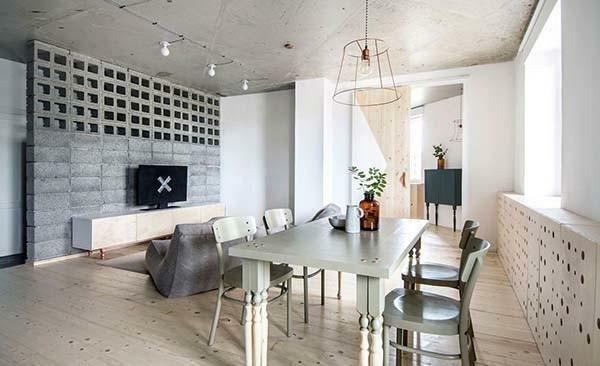 The interior of this home is chalk full of beautiful delights. 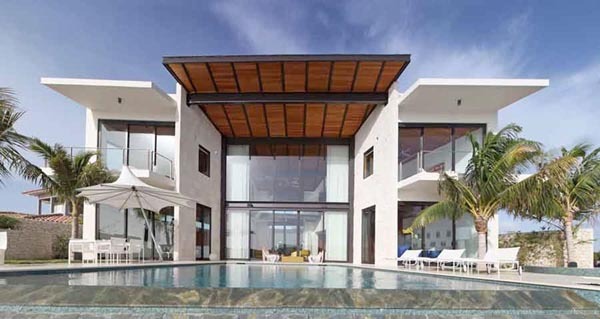 An infinity pool on a glorious, attractive patio-like area is a beautiful piece of modern, serene and luxurious architecture, fit for any client. 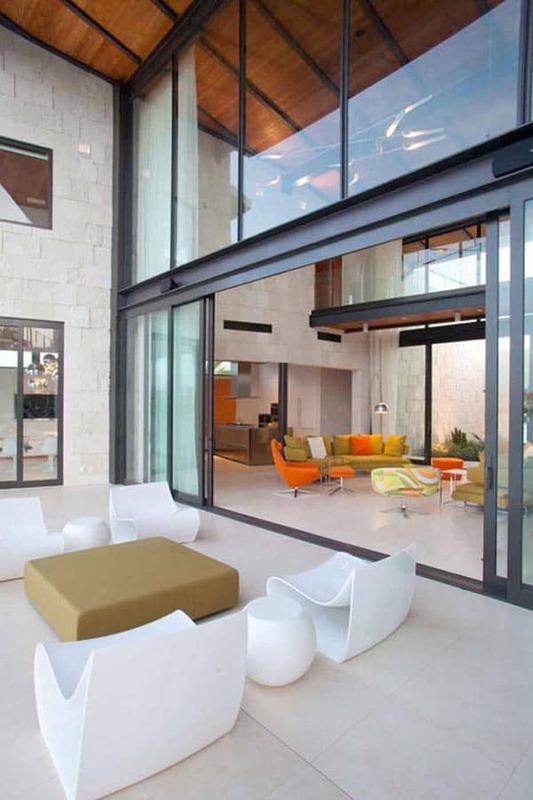 The furnishings of this patio-area also fit in perfectly with its surroundings, especially in terms of the pristine white colors. 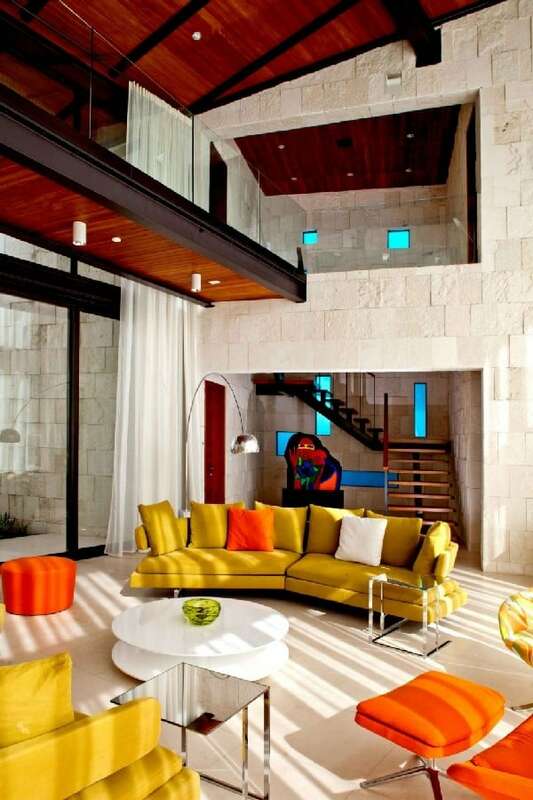 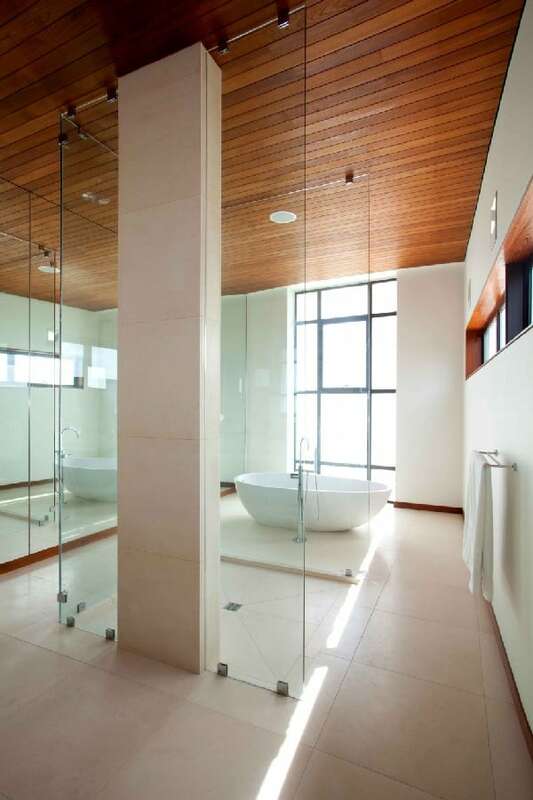 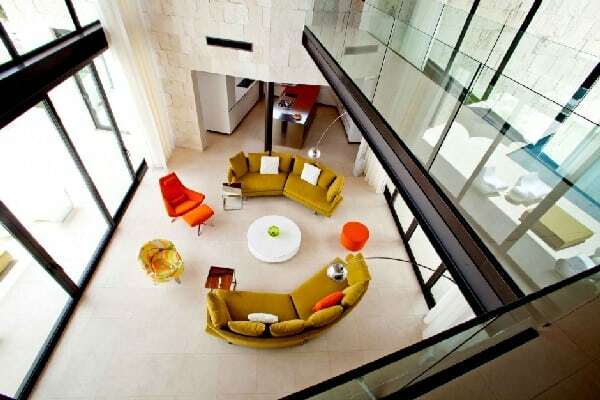 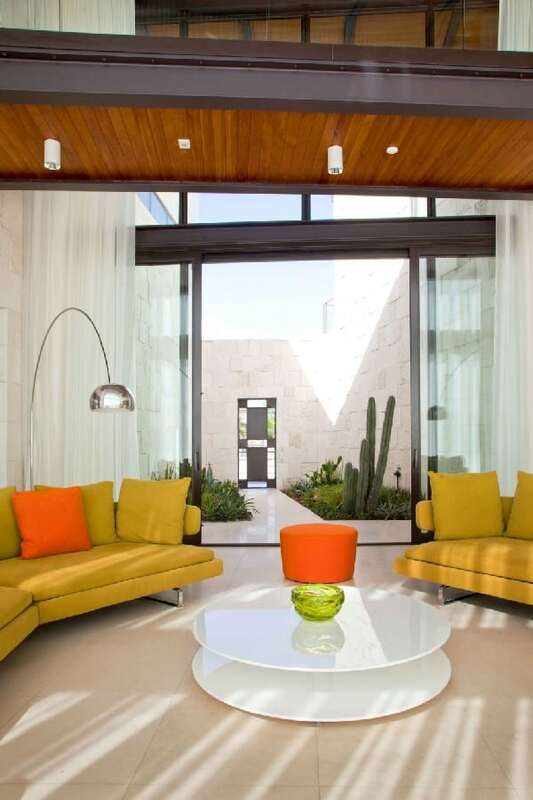 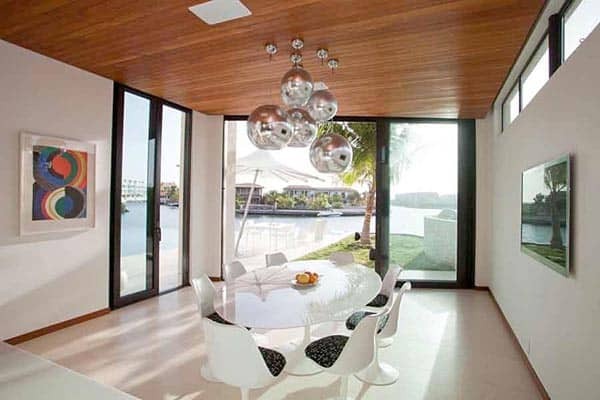 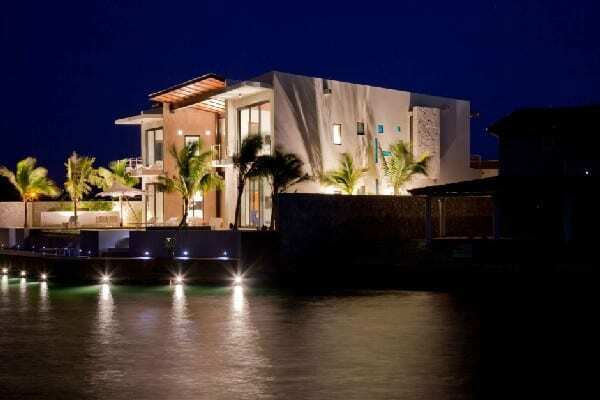 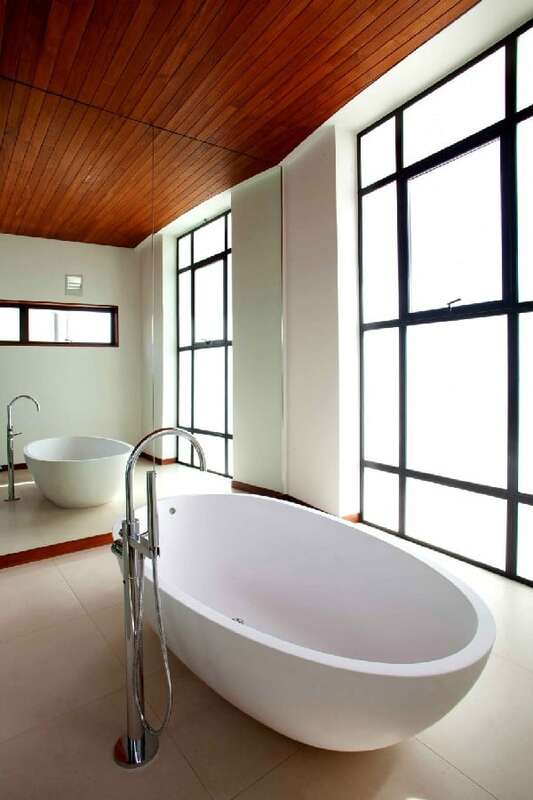 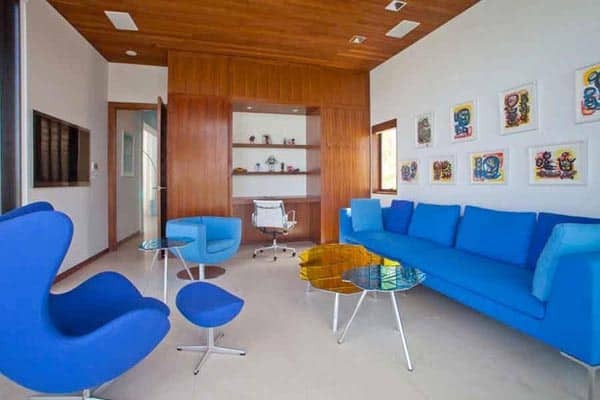 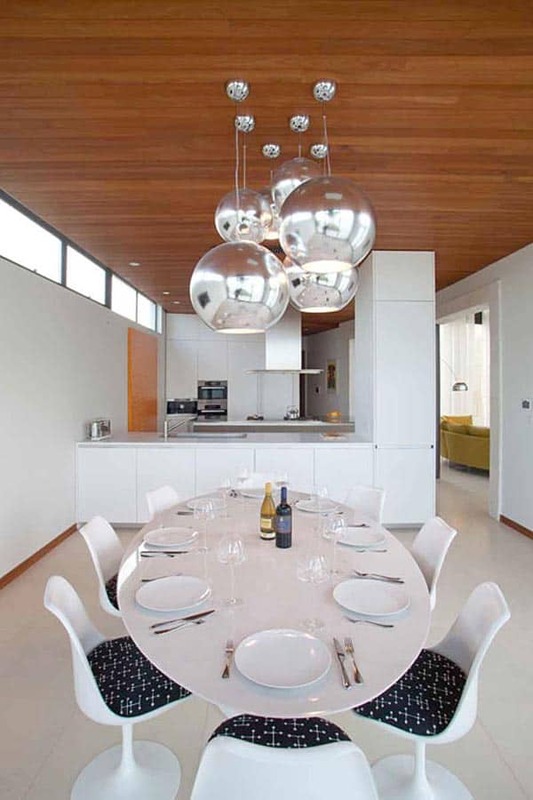 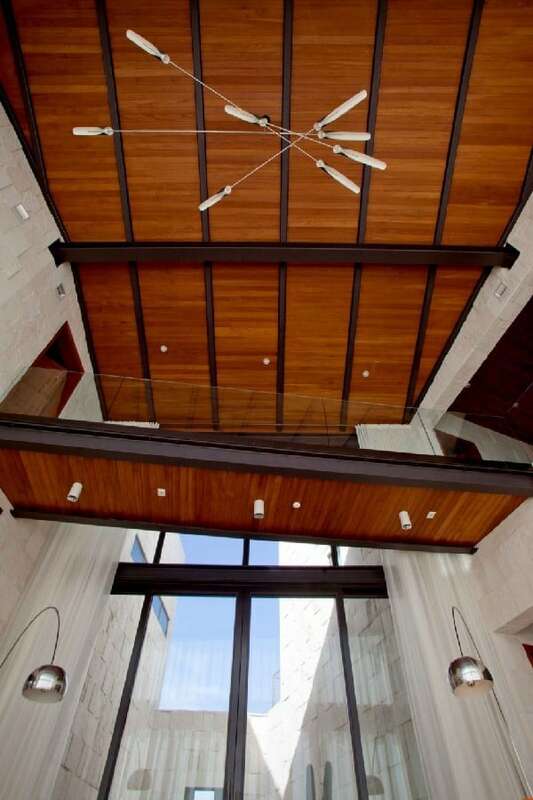 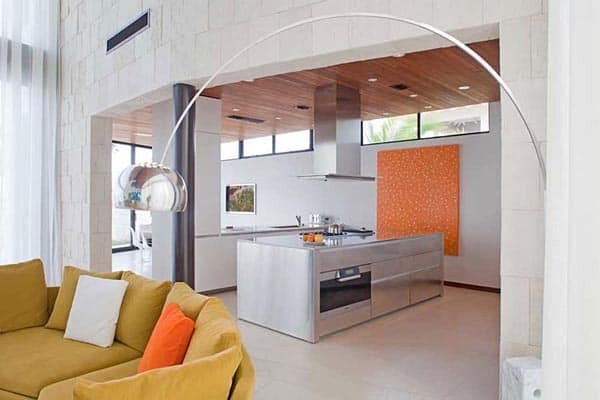 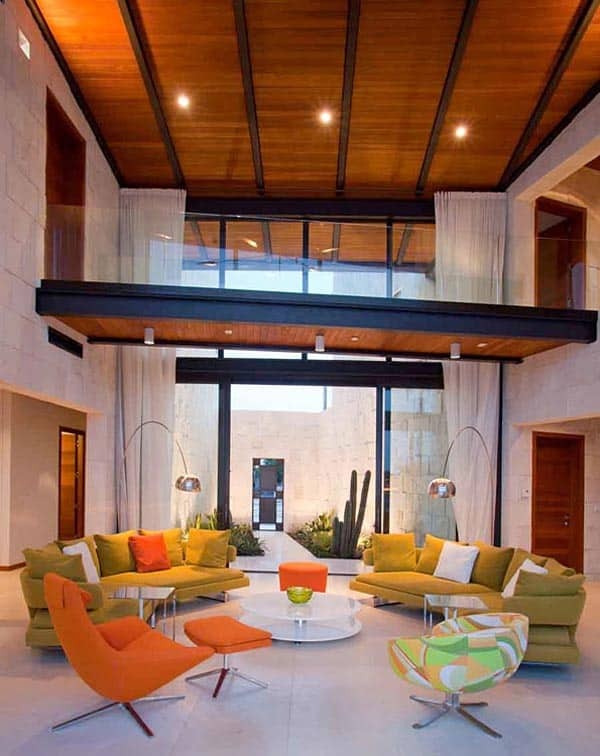 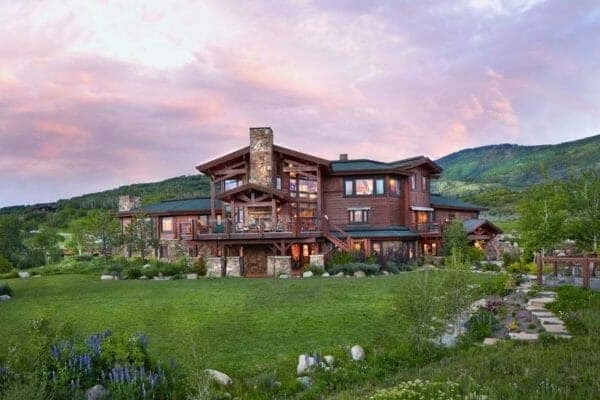 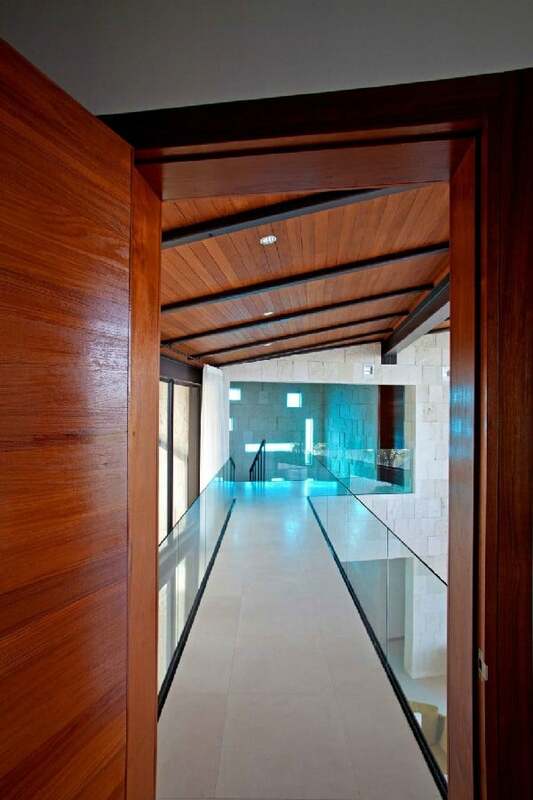 Inside, the house is a spacious, beautiful, contemporary and lavish home. 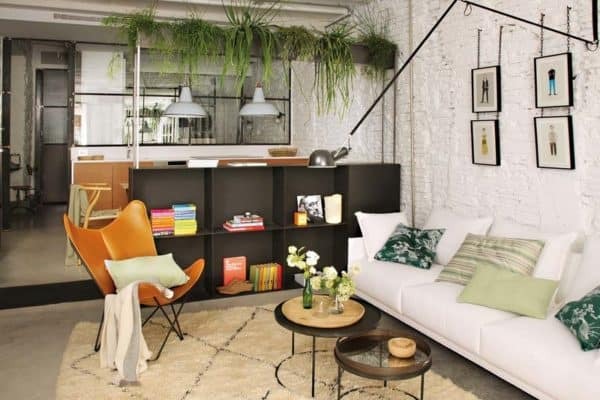 White and black are used mainly in terms of the materials, but this is juxtaposed with the bright colors such as green and orange used for the furnishings, which are as comfortable as they are strikingly attractive. 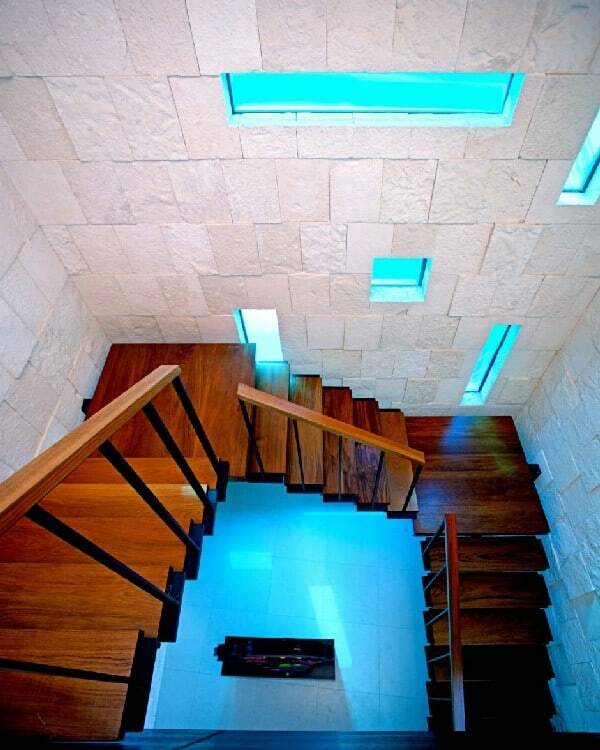 Even the staircase area is a beautiful piece of thoughtful, well-executed architecture. 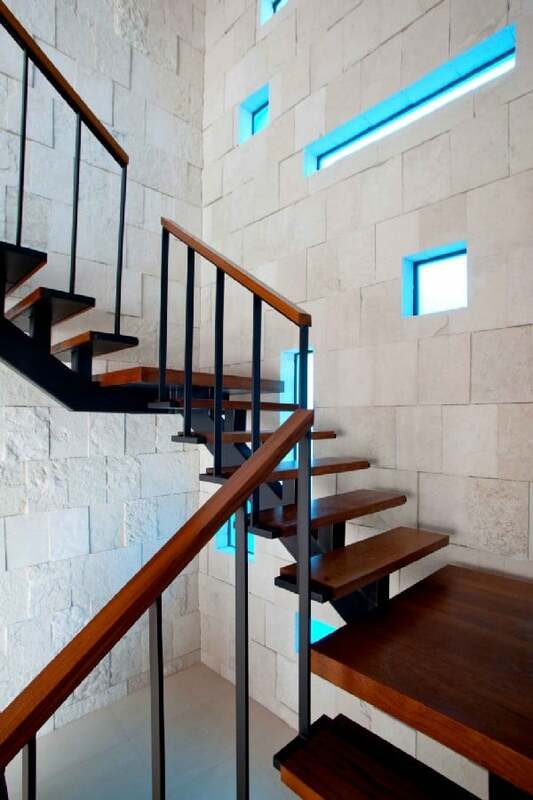 Surrounded in a blue tint, the sleek wooden material used throughout the house is also used for the brilliant staircase. 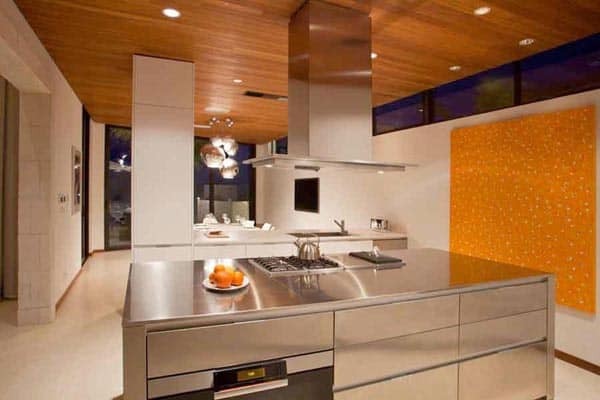 Visit the website of Silberstein Architecture here.